From concept design to installation and eventual recycling, flat roofs provide a wide range of environmental benefits for building projects. SIG Design & Technology offers an independent choice of systems for flat, green, and hard metal roofs for all types of buildings. We help choose the right roofing system for the project and ensure that it meets all the building’s requirements. 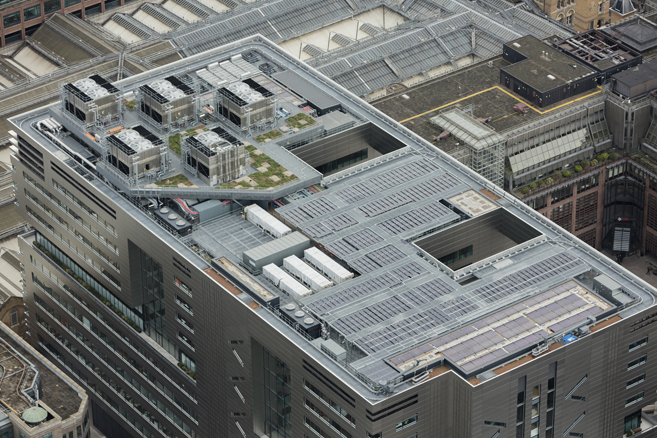 In spatial terms, flat roofs can be highly efficient, reducing the apparent mass of a building and providing easily accessible space for services, such as HVAC plant, photovoltaic panels and solar thermal tubes. Terraces, green roofs and roof gardens can also enrich the ‘fifth’ elevation, providing an important amenity for building occupants. As well as carbon capture, a green roof will optimize the structural footprint of the building, assist with urban drainage, enhance thermal and acoustic insulation, increase a membrane’s life expectancy, provide green space, absorb airborne pollutants and counter the heat island effect which is felt in cities. Our products are chosen for their sustainable values. As part of SIG Design and Technology’s holistic approach, we can help you choose the right products that meet all your project’s criteria, including your sustainability requirements. When it comes to the sustainability of the roof covering itself there are a number of factors to evaluate. First, what is it made from and can it be recycled? TPE membranes such as IKO’s Spectraplan are 100% recyclable, and no solvents are used in its installation. It is also manufactured in the UK. FDT’s Rhepanol PIB is the only membrane currently available with a full Life Cycle Assessment that meets DIN EN ISO 14040 part ff. This means that it has no significant environmental impact at any time between its manufacture and eventual disposal. Is there a requirement (planning or otherwise) for a BREEAM or other sustainability rating? 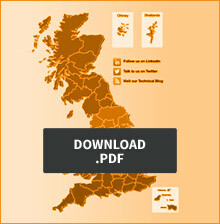 Some flat roofing products are A+ or A rated, such as IKO’s Armourplan. You can also consider whether the client has a concern for recycled content, or wishes to source products only made in the UK. Armourplan and IKO PermaTEC Hot Melt are both made in the UK but other products may be made overseas, increasing the energy expended in their use. IKO has also produced what it believed to be the first hot melt system with ‘zero wrapper waste’ – Permatec Ecowrap. Liquid waterproofing systems, such as Hydrostop AH-25, have the ability to extend the life-expectancy of flat roofs, minimising waste and reducing the need for virgin materials. Correctly installed and maintained they can last in excess of 25 years. Green roofs can improve sustainability ratings and make a significant contribution to the points scored in BREEAM, WELL and Living Building Challenge assessments. Points can be accrued under a variety of headings for BREEAM, including POL5, LE4, LE5, LE6 to name but a few. Bitumen-based mastic asphalt might initially appear unsustainable, however it is so durable over long periods that it is considered by construction professionals to have little or low impact on the environment and at the end of its useful life mastic asphalt is 100% recyclable. Mastic asphalt is also carbon neutral and in 2008 UK mastic asphalt became the first industry in the world to achieve the CarbonZero standard. IKO’s Permaphalt is manufactured in the UK using 85 per cent locally quarried limestone aggregate. The 13 per cent bitumen content is sourced from the Ellesmere Port bitumen refinery. Last but not least sustainability in flat roofing should be considered in terms of detailing practices and future maintenance. 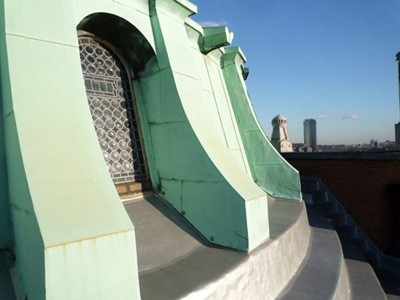 For architects, entering into discussion with a roofing expert at the earliest possible opportunity can be vital with regards to specifying the right product for the application and identifying key detailing issues. For clients and end users, it is vital that flat roofs are subject to a proper and regular inspection regime. This will ensure drainage outlets remain unblocked and appropriate repairs or replacement can take place if needed. Adherence to these procedures should ensure flat roofs achieve and/or exceed their life expectancy. Rhenofol CG sedum green roof has helped The Warrens Medical Centre in West Wirral win a silver Green Apple sustainability award. Read about the project here. Designed by Make Architects, 5 Broadgate comprises more than 65,000 square metres of office space over 12 floors in the City of London. Click here to find out how IKO PermaTEC waterproof layer contributed towards a design stage BREEAM Excellent rating. 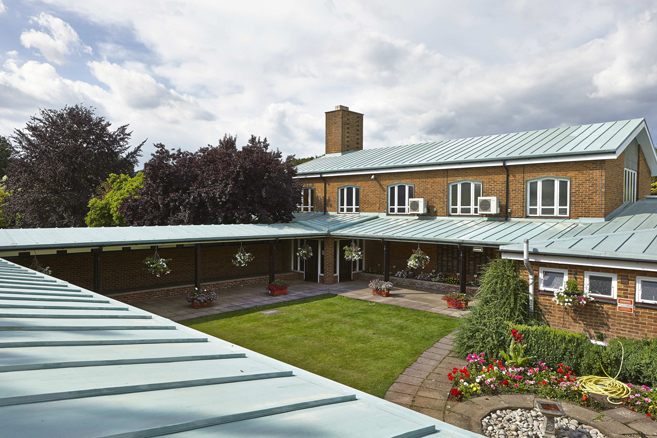 When it came to replacing the copper stolen from Guildford Crematorium and Chapel of Remembrance in Surrey the local council specified Rhepanol fk roofing membrane finished with copper paint which also satisfied the council’s environmental criteria. Find out more about this about this interesting project here. The roof of a Waitrose Distribution Centre in Aylesford, Kent, has been refurbished using 10,200 square metres of IKO’s Spectraplan single-ply membrane, chosen for its ability to contribute to the project’s BREEAM Very Good rating. Click here to find out more about the project. Among the main environmental benefits of Rhepanol fk are that it has an extremely long lifespan in use and does not contain any plasticisers or halogen fireproofing agents. Find out here how this fully recyclable membrane was used on the crystal form of Mario Botta’s Garnet Chapel (a rhombic dodecahedron) located in the heart of the Austrian Tyrol. We love using Green Roofs on our projects. 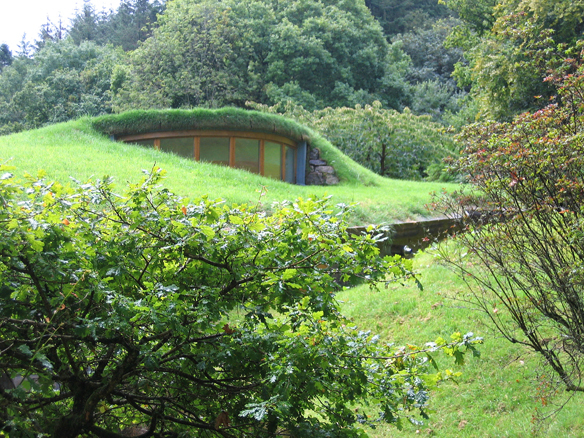 Our blog post Green Roof Benefits: A Baker’s Dozen Reasons to Specify a Green Roof explores thirteen green roof benefits, split into economic, social and environmental reasons. Visit the Permaphalt product pages. Got a question? Ask it in the comments below or contact us about your project.